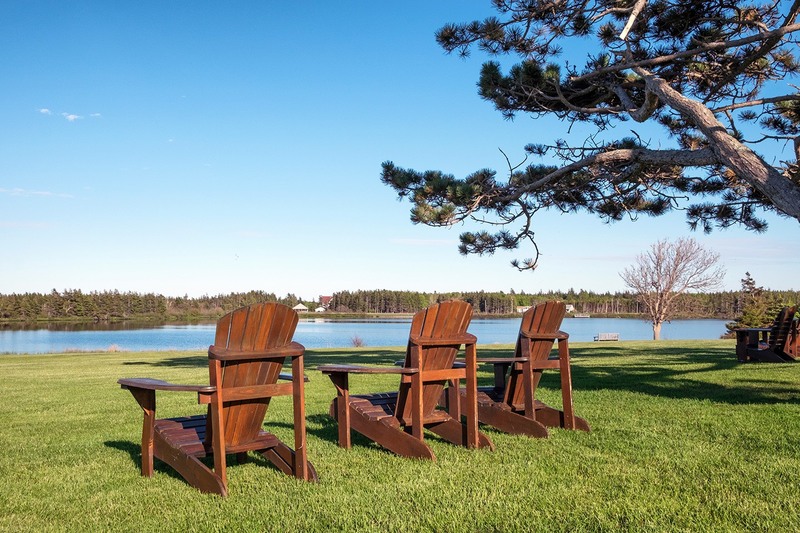 An unspoilt island of rolling farmland, red cliffs, sand dunes and shining lakes – Prince Edward Island is a different type of Canadian adventure. It’s one of the east coast’s maritime provinces, and is Canada’s smallest at just 139 miles long and 40 miles wide. Generations of people know it as the home of Anne of Green Gables. But although Anne is the star of the book, Prince Edward Island is her gorgeous co-star, with luscious descriptions that make you want to walk through the woods or sit by the sparkling lakeshore yourself. But there’s more to PEI than just Green Gables, with a beautiful coastline, delicious food and a fascinating history to discover too. So here are 12 essential experiences you shouldn’t miss on a trip to PEI. You can’t get a more classic Maritime Canada view than a white and red lighthouse among the sand dunes, and PEI has 63 to choose from. 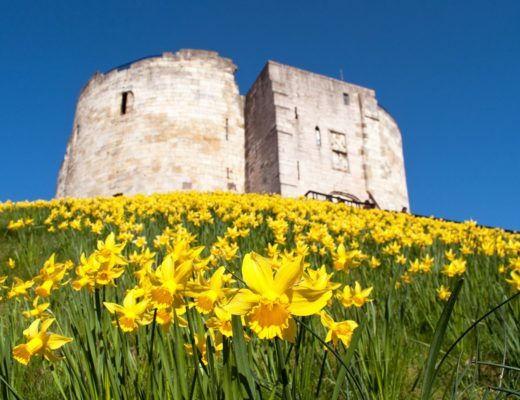 They were built all around the coast from the mid-19th century to protect passing ships from the treacherous seas. Not many of them are still used for navigation, but they’re looked after by local conservation groups. 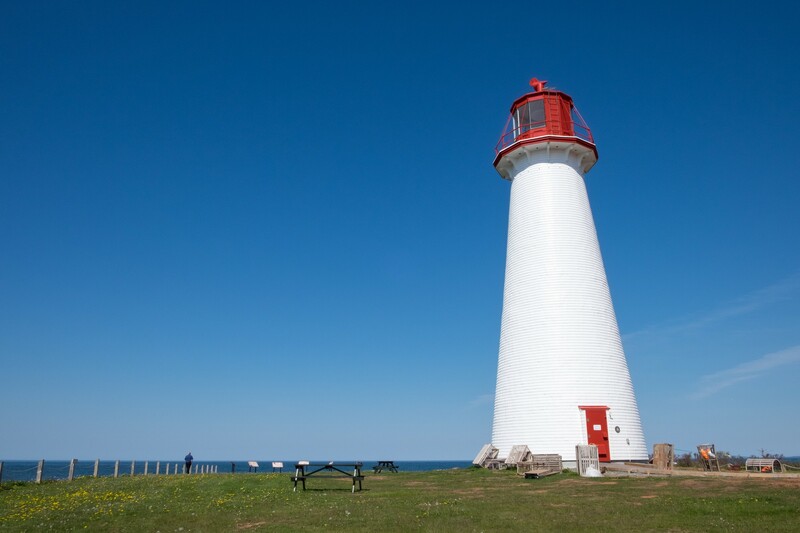 Each lighthouse has its own story – Point Prim is PEI’s first and oldest lighthouse, Cape Bear was where the first distress signal from the Titanic was heard, East Point has been moved twice after the coast eroded, and you can stay the night in the West Point lighthouse. Children around the world have grown with stories of red-haired Anne, and visiting Green Gables Heritage Place on PEI’s north shore is like walking into a chapter of the book, with its white clapboard house, green shutters and an old carriage parked outside. 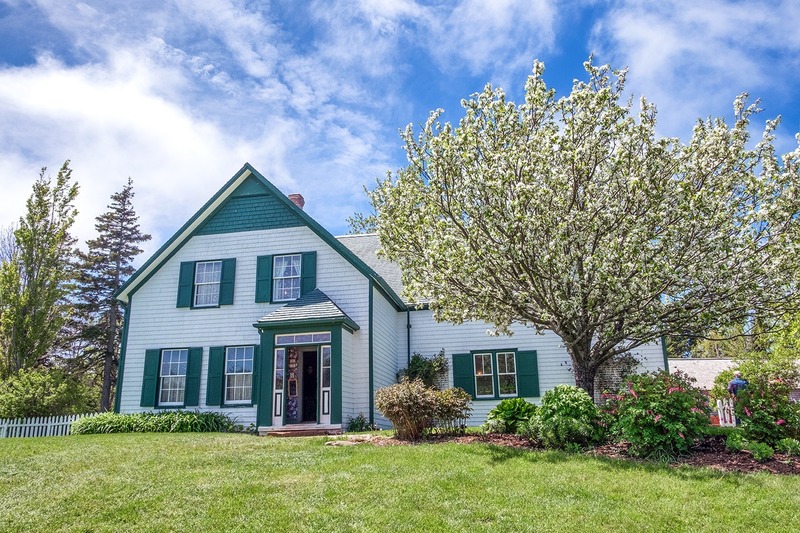 In real life the house belonged to Lucy Maud Montgomery’s cousins, a brother and sister who inspired the characters of Matthew and Marilla. But the interiors have been recreated from the stories, right down to Anne’s bedroom in the east gable with her beloved puff-sleeved dress hanging up. You almost expect to see her come walking in from the Haunted Wood. PEI might be small, but it played an important role in the history of Canada. 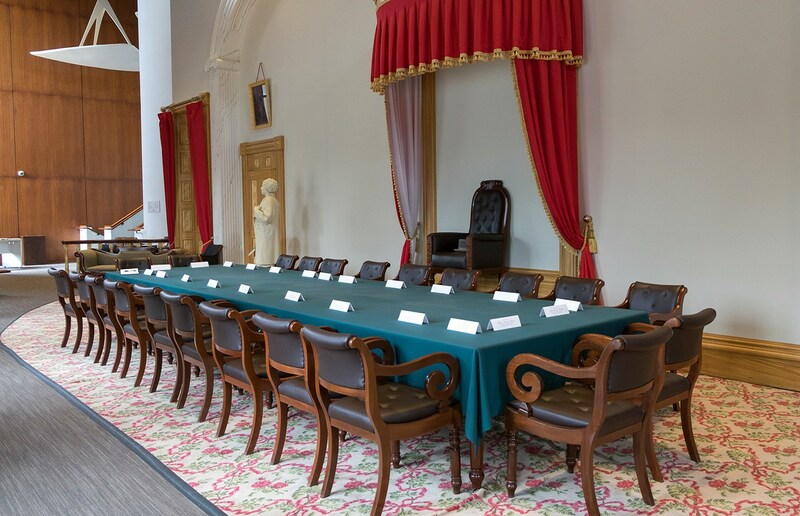 It was in the island’s capital Charlottetown that the Fathers of Confederation – representatives from Nova Scotia, New Brunswick, Quebec and Ontario – met back in 1864 to form the nation of Canada. You can find out more in a replica of the original Confederation Chamber (currently temporarily relocated from Province House to the Confederation Arts Center) and you’ll also see the Confederation Players out and about in Charlottetown during the summer, costumed guides who can tell you all about what life was like in 1860s PEI. 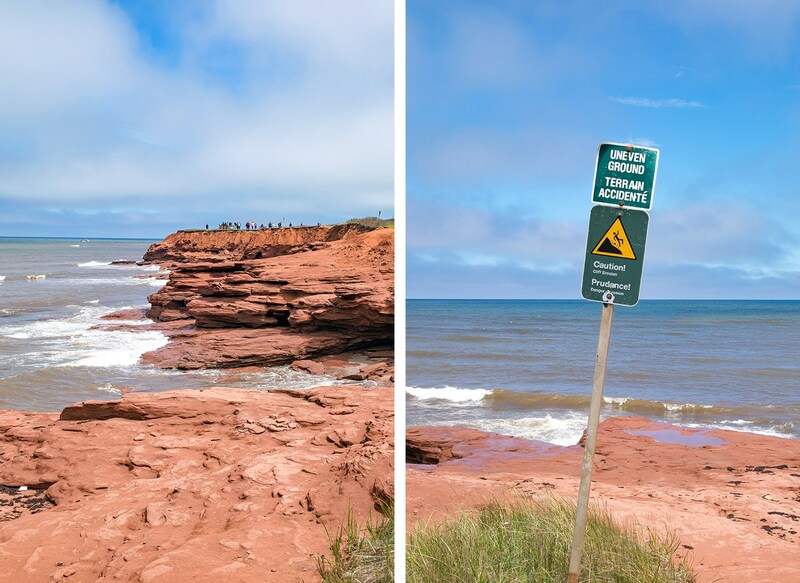 As you travel around Prince Edward Island you’ll see flashes of its unusual bright red soil. It gets its colour from the high amounts of iron in the island’s sandstone which oxidises and rusts when it meets the air. As well as being great for farming it makes for some gorgeous views, especially when it’s mixed in with the island’s green fields or blue seas. Along the north shore of the island you can see red sandstone cliffs in Prince Edward Island National Park, with weird and wonderful rock formations which glow at sunset. PEI is famous across Canada and beyond for its seafood, with some of the juiciest oysters, silkiest lobster and tastiest clams and mussels around. Sit on the waterfront with a buttery lobster roll piled high with fresh meat and just a dash of lemon and you’ll see why. 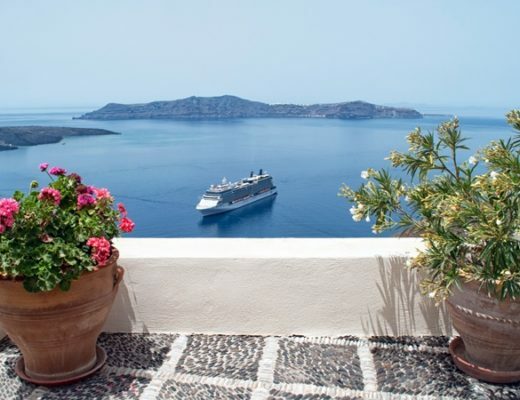 Seafood’s available all over the island – from high-end restaurants to simple waterfront stalls – or you can try digging for clams or join a fishing expedition. If you love your seafood, then autumn’s the best time to visit for September’s PEI International Shellfish Festival, with tastings, music, cooking demos and a record attempt for the world’s longest lobster roll. An evening walk along the boardwalk, breathing in the smell of the sea was one of my favourite things to do in PEI. At Greenwich in Prince Edward Island National Park there’s a long, floating boardwalk that takes you through wetlands and sand dunes on its way to the beach. 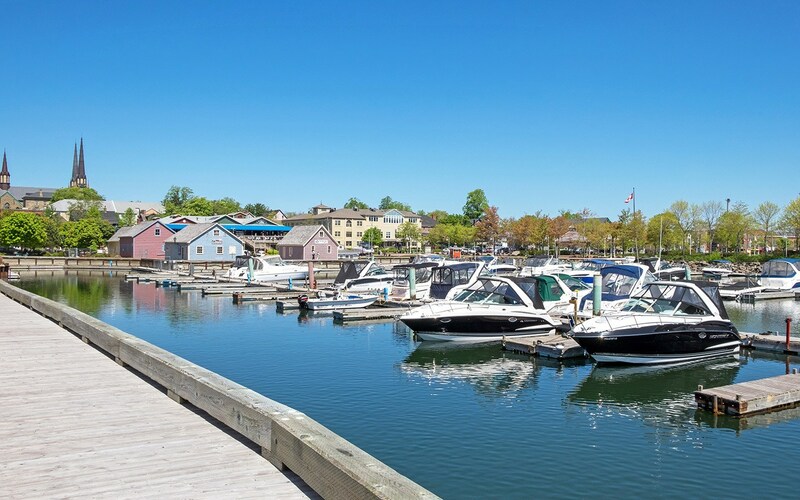 Or you can join the joggers, walkers and cyclists in Charlottetown’s Victoria Park, where there’s a boardwalk running along the edge of the park and on past the remains of a historic fort, alongside lines of boats to Peake’s Wharf and the harbour. 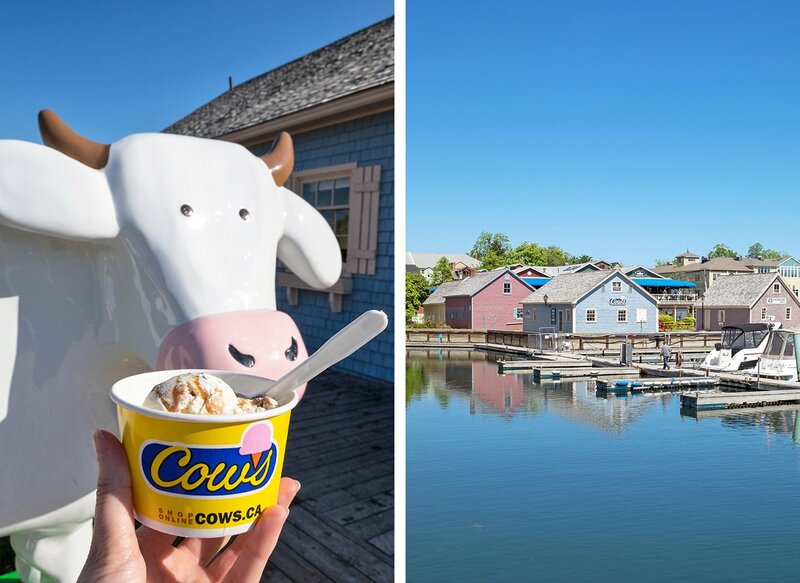 Whatever the time of year, eating a cone of Cows is a PEI must-do – ice cream so tasty it’s been voted the best in Canada. Cows Creamery started in PEI and opened their first store in Cavendish in 1983. Now there are six stores around the island, including their main HQ just outside Charlottetown where you can take a tour to see how it’s made and pick up one of their trademark cow-pun t-shirts. The ice cream is extra creamy, made using a secret recipe with milk from PEI cows and fresh local ingredients. There are over 30 flavours – my favourite was Wowie Cowie (vanilla with toffee, chocolate flakes and moo crunch). 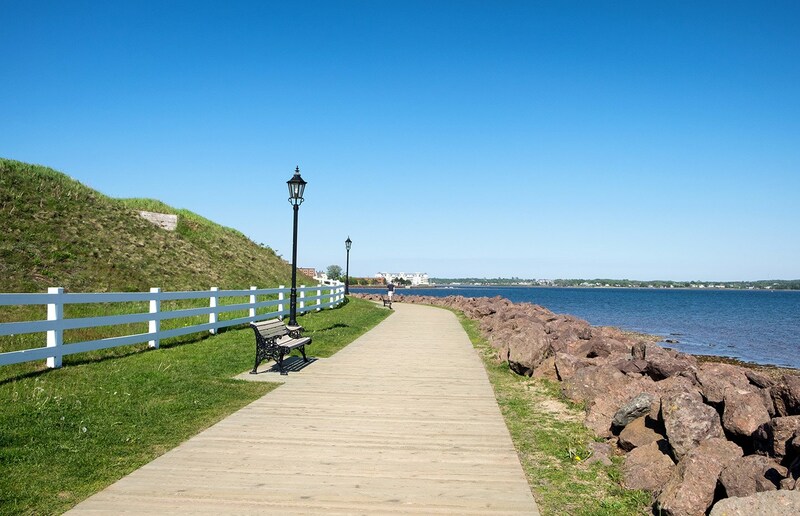 Prince Edward Island’s Confederation Trail is a 270-mile-long former railway line which stretches from one tip of the island to the other, with branches connecting it to Charlottetown as well as some of the beachside towns. The gentle gradients along the route make it perfect for walking or cycling and there are lots of beautiful views along the way. The trail runs though a mixture of farms, wetlands, forests, meadows and lakes, with plenty of little villages to stop off in. 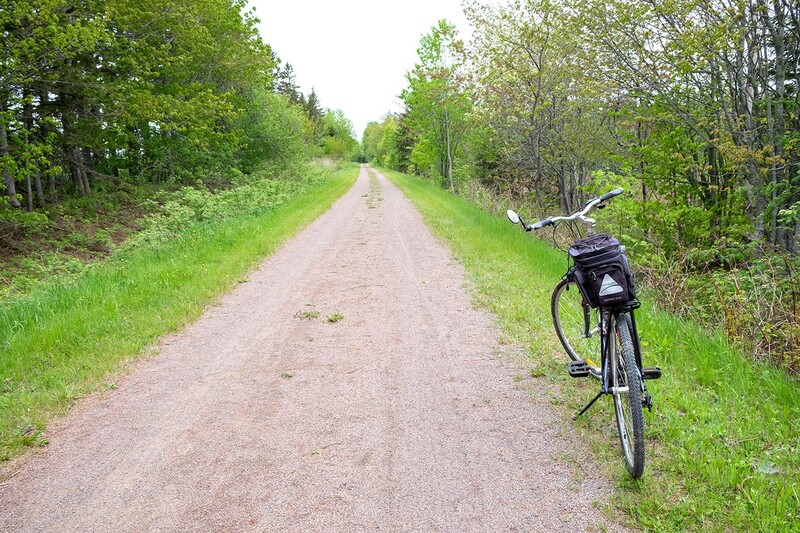 You can hire a bike (or ebike) in Charlottetown in summer and try out geocaching – or in the winter the trail is transformed into a snowmobile route. 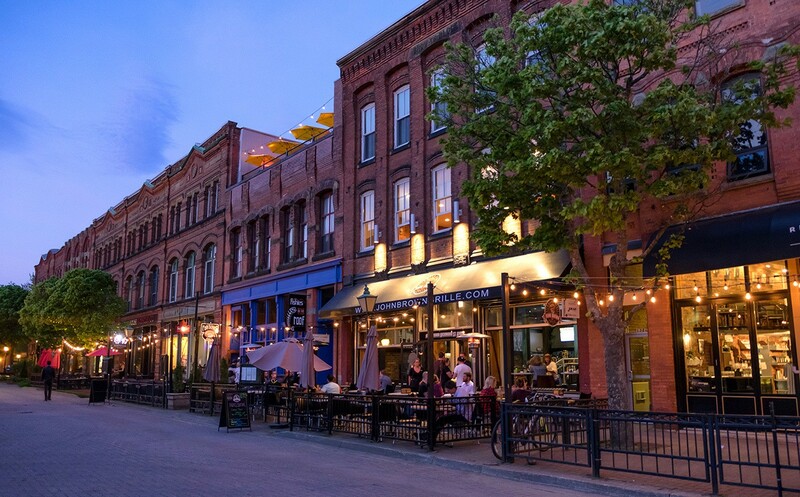 Victoria Row – aka The Row – is one of Charlottetown’s prettiest streets with its Victorian red brick buildings, cobbled streets and shady trees. 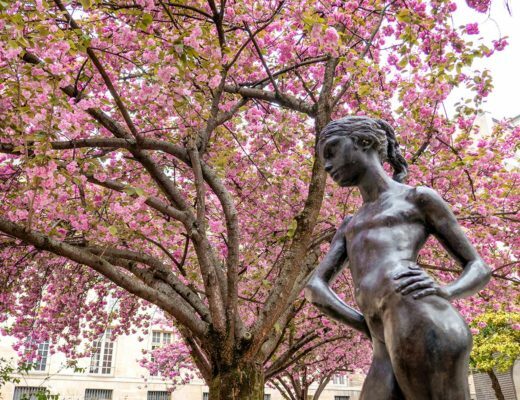 It’s lined with a mix of bars and restaurants, coffee shops, galleries and independent shops selling art, antiques, gifts – and of course a few Anne of Green Gables goodies. In the summer the street is pedestrianised so you can grab a table outside for a sunset drink, or head up to the rooftop patio at Fishies on the Roof for views out over the city skyline. If you fancy a day at the beach, PEI has 500 miles worth to choose from, ranging from white sand to red, and with some of the warmest waters north of Florida. One of the island’s most famous is the Singing Sands in Basin Head Provincial Park, with quartz sand that squeaks when you walk on it. 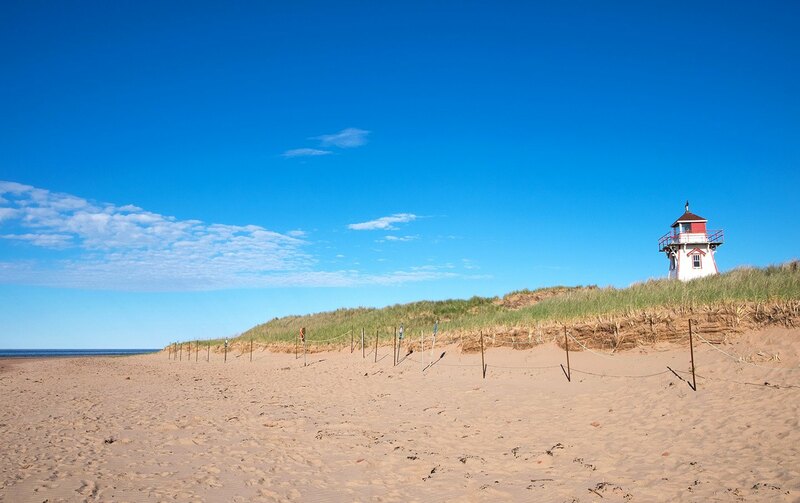 Or head to Prince Edward Island National Park for Cavendish Beach with its 37-mile stretch of sand and Greenwich Beach with its sand dunes. There are so many others though that it’s easy to pack a picnic and find your own stretch of beach away from everyone else – you can camp by the beach in some Provincial Parks too. 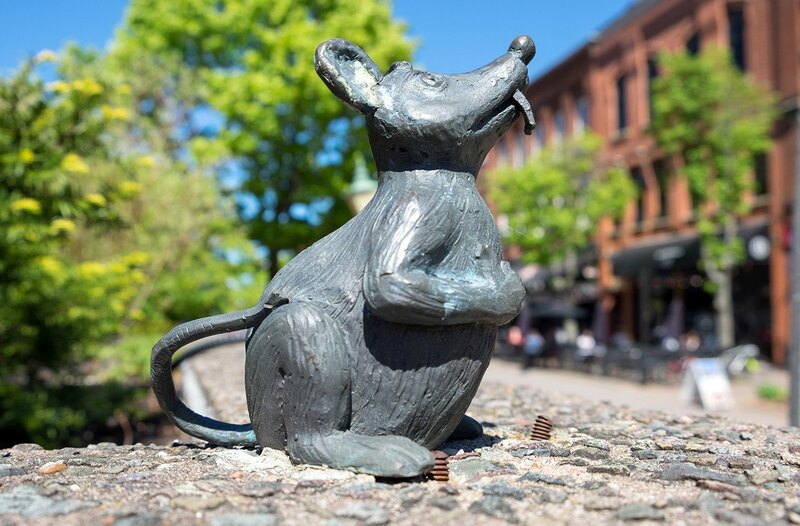 When you’re walking around Charlottetown, keep yours eyes out for the mini bronze mouse statues hidden around the city. They’re based on Eckhart the Mouse – a curious mouse with a long tail – who’s a character from local PEI author David Weale’s book The True Meaning of Crumbfest. 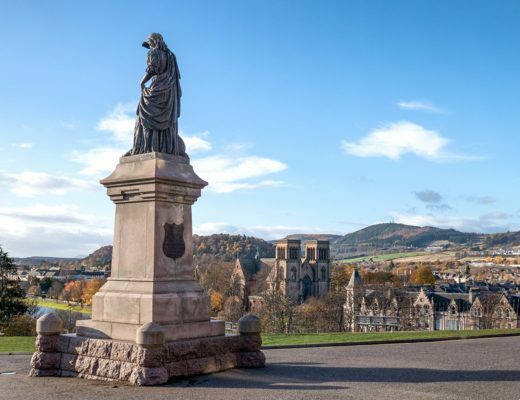 It’s a great game if you’re visiting with kids, and you can download a PDF with clues on where to find them along with some historical details about the places along the route (I only found six so you’ll probably do better than me!). There’s more to PEI’s food than just seafood – it’s been nicknamed Canada’s Food Island for all its amazing local produce. You can do a taster of some of the delicious local flavours at the weekly Charlottetown Farmers’ Market. 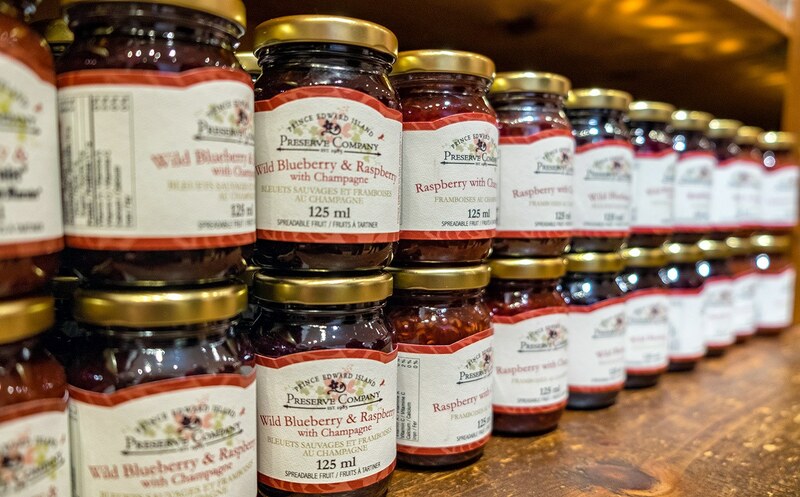 Or tour some of the island’s producers as you travel around, like the Prince Edward Island Preserve Company for jam and chutney (their raspberry and Champagne jam is amazing), Rossignol Winery for fruit and maple wines, the PEI Brewing Company for craft beer and Island Chocolates for amazing chocolates. And don’t miss the bizarre-sounding chocolate covered potato chips. Disclaimer: this post is brought to you in association with Destination Canada. See you learn something all the time. 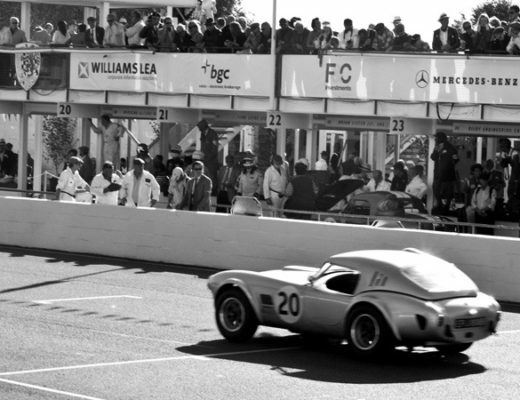 I’ve been there twice and i never knew about the Mice! They’re so small they’re easy to miss! What a lot of interesting experiences. You’ve given a really interesting guide Prince Edward Island – it will be very useful for visitors. Thanks Zoe, it’s such a lovely place I really enjoyed reliving the trip! It looks thoroughly charming and I love the mice! Such a great idea. I wouldn’t need to have some kids with to want to track them down. I did my best but still didn’t manage to spot them all! That’s the only problem with Canada – it’s so big and there’s so much to see! I’d love to explore some more of the area now. Hello, I’ve read your tips before traveling to PEI two weeks ago and I don’t see how you can seriously recommend Green Gables right now. There’s massive construction going on as an extension of the already large Visitor’s Center, the parking lot is full of bulldozers and there’s really nothing romantic about this place for the next months to come. You should at least warn your readers. Trust me, I’ve just come back from there utterly disappointed. With “Anne with an e” being so popular on Netflix people will have expectations and will hate finding Green Gables one huge construction site. Hi Isabelle, sorry to hear the building work affected your enjoyment of the site – the only disruption was in the car park when I visited. I’ve looked into it and it seems that the Visitor’s Centre should be completed this fall – I will add a note to advise people to check the current status before they visit. The eastern coast of the North American continent has such a unique flavour and I’ve always found it fascinating. The quality of life there seems so refined yet relaxed. I love the idea of the Singing Sands – any curious geological features are a winner with me – and who’d have thought the water temperatures this far north would be comparitively favourable? I was really surprised about that too – still a bit chilly for me to take a dip in June but in the summer I’d be game for a try! 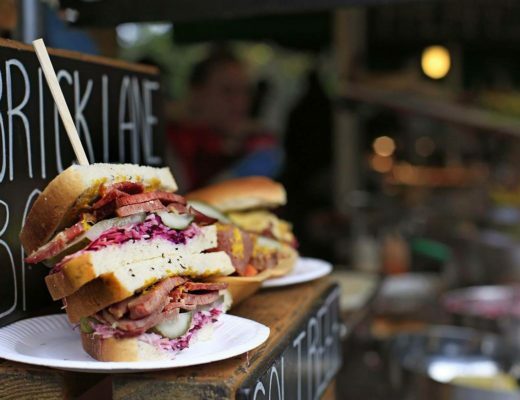 There’s something for everyone here – foodies, literary types, adventurists and outdoor lovers. I love them all so this sounds like my kind of trip! Me too – explains why I liked it so much! 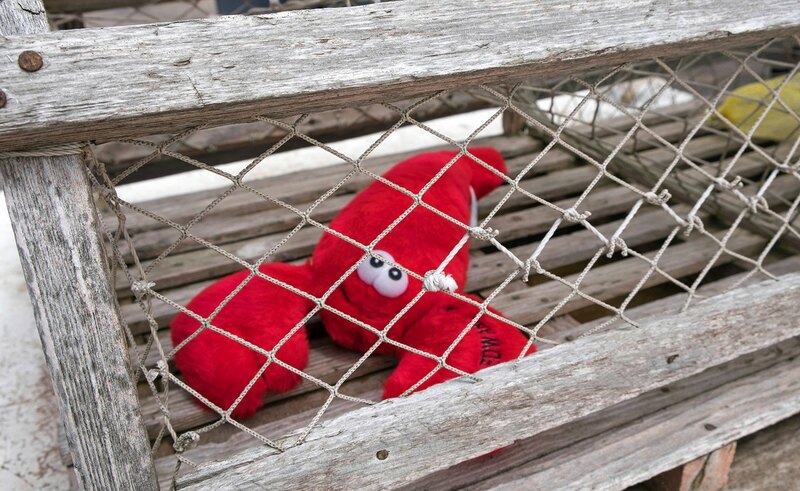 I will fully indulge in the sea food. Such great seafood here, you’re spoilt for choice! I didn’t know about the mice in Charlottetown! Great list. Another fun thing to do is to get your old fashioned photo taken at Grandpa’s Antique Photo Studio! There’s also some neat geocaches around the island. 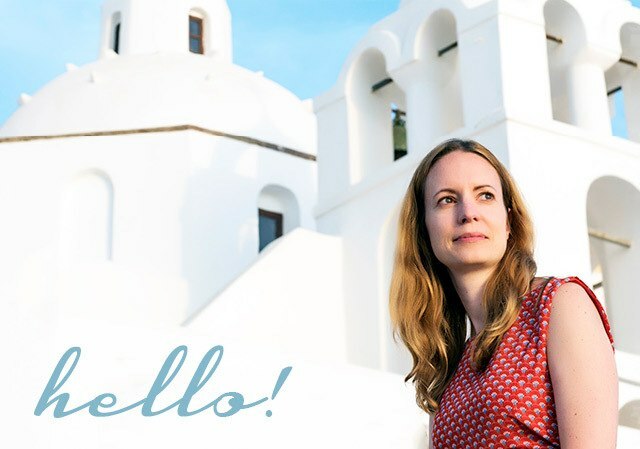 The photoshoot sounds brilliant – I’m going to have to go back!